Custom-tailor — to plan or build according to individual specifications or needs. Picture two very different articles of clothing. The first is a custom-made shirt. You search for a tailor who is experienced and has the expertise to create exactly what you want. You pick out the cloth and the buttons. The tailor measures and remeasures. Minor alterations are made and extra time and care is taken to ensure that the shirt fits you perfectly. If someone else tried it on, it wouldn’t fit them like it fits you. Contrast that with a hospital gown. By necessity, its purpose is to provide coverage for as many body shapes and sizes as possible. The cloth is thin and rough. The pattern is hideous. The entire time you have it on, you're worried about whether it's providing adequate coverage. The problem with this one-size-fits-all solution is that it really isn’t much of a solution. Your estate plan should be like a custom-made piece of clothing. It should be created to address your specific situation. A 75 year-old widow has different concerns and planning needs than a young family with minor children. A blended family with children from previous marriages will have issues to address that a single 30-year old won’t. With estate planning, one-size definitely does not fit all. Choosing the Right Attorney—Estate planning is unique, in that you may never see the result of the work done for you. You want to be assured that your plan will accomplish what it is you want it to do. For this reason, you need an attorney who has experience and expertise in estate planning; who follows changes in the law and incorporates that knowledge into your planning. Additionally, you want an attorney that you're comfortable being open with and sharing personal information. Your free initial consultation is an opportunity for you to ask questions and determine whether there's a fit. Communication—This is a key part of your planning. Openness and honesty are essential. I once met with a couple and asked them if they had any concerns about how their kids got along. The wife started talking about what great friends they were and how they never had any disagreements. The husband's face said something completely different. After further discussion, the wife explained that they both had some serious concerns about how their kids would interact when they weren't around. The wife was embarrassed to share anything that cast a negative light on her family. It's not my job to pass judgment. Instead, I gather as much information as I can in order to propose the best solutions. Education—This works hand in hand with Communication. As a client, it's your responsibility to educate me on your values, hopes and concerns. With this information, I can then educate you on different planning options and outcomes. 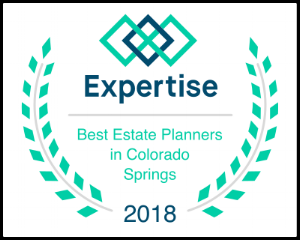 I don't expect my clients to become experts at estate planning. That's my job. But I do want my clients to understand and feel comfortable with how their plan works. Collaboration—I believe that the best plans are those that include input from your team of professionals. This might include your CPA, financial advisor or insurance agent. I always welcome questions and input from your advisors. Keeping Your Estate Plan Current—When I present seminars, the first question I ask is who has the oldest Will or Trust (so far the oldest is a Will from 1974). I then ask that person if anything has changed in their life since then. Of course the answer is always yes. Your life will change and your estate plan should reflect that. We provide services to ensure your plan reflects changes in your life as well as changes in the law.